Should extinct animals like the woolly mammoth be cloned? 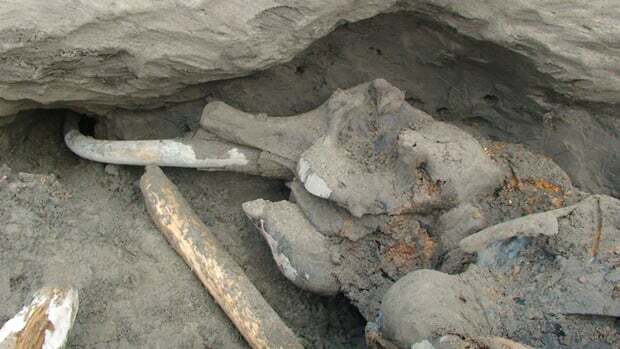 An 11-year-old boy in Russia has discovered the remains of teenage mammoth that once roamed the Siberian tundra in search of fodder and females. The creature might have been killed by an Ice Age man on a summer day tens of thousands of years ago, a Russian scientist said Friday. Prof. Alexei Tikhonov of the Zoology Institute in St. Petersburg announced the finding of the mammoth, which was excavated from the Siberian permafrost in late September near the Sopochnaya Karga cape, 3,500 kilometres northeast of Moscow. The 16-year-old mammoth has been named Jenya, after the boy who found the animal’s limbs sticking out of the frozen mud. The mammoth was 2 metres tall and weighed 500 kilograms. “He was pretty small for his age,” Tikhonov told the Associated Press. But what killed Jenya was not his size but a missing left tusk that made him unfit for fights with other mammoths or human hunters who were settling the Siberian marshes and swamps some 20,000-30,000 years ago, Tikhonov said. The splits on Jenya’s remaining tusk show a “possible human touch,” he added. The examination of Jenya’s body has already proved that the massive humps on mammoths seen on Ice Age cave paintings in Spain and France were not extended bones but huge chunks of fat that helped them regulate their body temperatures and survive the long, cold winters, Tikhonov said. Jenya’s hump was relatively big, which means that he died during a short Arctic summer, he said. Up to 4 metres in height and 10 tons in weight, mammoths migrated across huge areas between Great Britain and North America and were driven to extinction by humans and the changing climate. Wooly mammoths are thought to have died out around 10,000 years ago, although scientists think small groups of them lived longer in Alaska and on Russia’s Wrangel Island off the Siberian coast. Their bodies have mostly been found in the Siberian permafrost. Siberian cultural myths paint them as primordial creatures who moved underground and helped to create the Earth. Most of the well-preserved mammoths are calves. Jenya’s carcass is the best-preserved one since the 1901 discovery of a giant mammoth near the Beryozovka river in Russia’s northeastern Yakutia region, Tikhonov said. Unfortunately, its DNA has been damaged by low temperatures and is “hardly” suitable for possible cloning, he said. However, an earlier mammoth discovery might be able to help recreate the Ice Age elephant. Russia’s North-Eastern Federal University said in early September that an international team of researchers had discovered mammoth hair, soft tissues and bone marrow some 100 metres underground during a summer expedition in Yakutia. Scientists already have deciphered much of the genetic code of the woolly mammoth from balls of mammoth hair found frozen in the Siberian permafrost. Some believe it’s possible to recreate the prehistoric animal if they find living cells in the permafrost. Those who succeed in recreating an extinct animal could claim a “Jurassic Park prize,” a concept being developed by the X Prize Foundation that awarded a 2004 prize for the first private spacecraft. Kids Talk Radio Russia we be posting STEM and STEAM News from Russian classrooms to classrooms in the USA. For more information be sure to visit http://www.KidsTalkRadioUSA.com and http://www.KidsTalkRadioLA.com.